Two Chicks On Books: Blog Tour- BLOOD ROAD by Amanda McCrina An Interview & Giveaway! 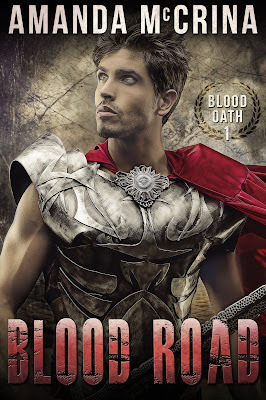 Blog Tour- BLOOD ROAD by Amanda McCrina An Interview & Giveaway! Hey everyone! 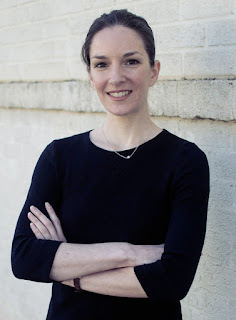 I am thrilled to be hosting a spot on the blog tour for BLOOD ROAD by Amanda McCrina! I have an interview with Amanda to share with you today! And make sure to enter the giveaway below for an Owl Crate Box! Haven't heard of BLOOD ROAD? Check it out! Hey Amanda! First I want to say welcome to Two Chicks on Books! BLOOD ROAD was freaking AWESOME and I can’t wait for everyone to read it! And am so happy that you could stop by for a visit! For the readers: can you tell us a little bit about BLOOD ROAD and the characters? BLOOD ROAD is a political fantasy set in a violent, Rome-like world. The main character, Torien, is a young Imperial army officer whose own people were conquered by the Empire not so very long ago, and who has to rethink his own loyalties as he attempts to solve a kidnapping. Is this a series? And if so do you have a title for book 2 yet? Alluin, as the snarky voice of reason, was a lot of fun to write. I’m not sure I have a least favorite, though I tend to find villains challenging. What is your favorite passage/scene in BLOOD ROAD? No spoilers, but my favorite scene is a tense, pivotal conversation between two opposing characters who meet for the first time toward the end of the book. I did a lot of reading on desert survival (and venomous snakes), but I think the bulk of my research went into the food and medicine of the ancient Mediterranean world. I had a copy of Apicius, a Roman cookbook, on hand as a reference. Honestly, I think food may be the most important part of worldbuilding. If you know what people are cooking and eating, you’re in a pretty good position to guess at their health, their climate, their agriculture, their economy, and even their social hierarchies. Costis from Megan Whalen Turner’s Queen’s Thief series, hands down. Part of me hopes we’ll see him again in Thick As Thieves, which comes out in May; part of me is VERY NERVOUS about what might happen if we do. I like reading YA, so that tends to be what comes out when I write. I think there’s a perennial need for stories about figuring out one’s place in the world, and YA usually handles this theme the best. Most of what I’m reading right now is research material for my next project, so I’ll talk about something from my TBR pile—Among the Red Stars, by Gwen C. Katz. It’s about the Night Witches, the all-female Soviet bomber regiment from WWII, and it comes out in October. I can’t wait to read it. I’m in Gryffindor on Pottermore, but usually when I take the sorting quizzes I end up in Hufflepuff. Twitter. Facebook stopped being cool when everybody’s parents got accounts. In order: katsaridaphobia (I had to Google it, too, look at your own risk), acrophobia, claustrophobia. Don’t Let Me Down, The Chainsmokers. I feel like it’s too easy to say The Last Jedi, so I’ll say it’s a toss-up between Alien: Covenant and Christopher Nolan’s Dunkirk. Thanks so much Amanda for answering my questions! I can’t wait for everyone to read BLOOD ROAD!